Why Simtech Oil & Gas? Only well-trained operators can make realised the true potential of optimum designed asset. Operator training is necessary for both new and experienced operators. The new operator needs training in the layout of the control system, normal operations, start-up and shutdown and general plant behaviour. More experienced operators need refresher courses and advanced training in how to deal with unexpected problems, hazards, and incidents. In addition, engineers and process managers require training in how the process works and how operating decisions will affect plant performance. 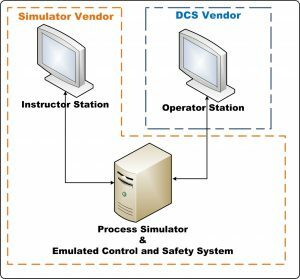 Simulation based operator training has been successfully applied to a range of diverse industries where high risk and high costs are everyday issues requiring smart solutions. Whether piloting a plane or launching a space shuttle, simulation training has been proven to dramatically reduce risk, cost, unscheduled maintenance, increase trainer effectiveness and efficiency while maximizing productivity. 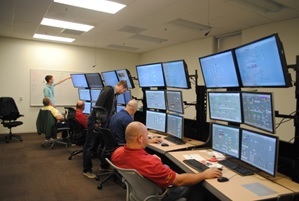 Simulators provide operators a safe environment to learn and practice their skills while allowing the operator to practice for a range of possible emergency situations. Many of these situations are too dangerous, too difficult or too expensive to test in an actual facility. Operators can also be shown and assessed for the proper operating technique. 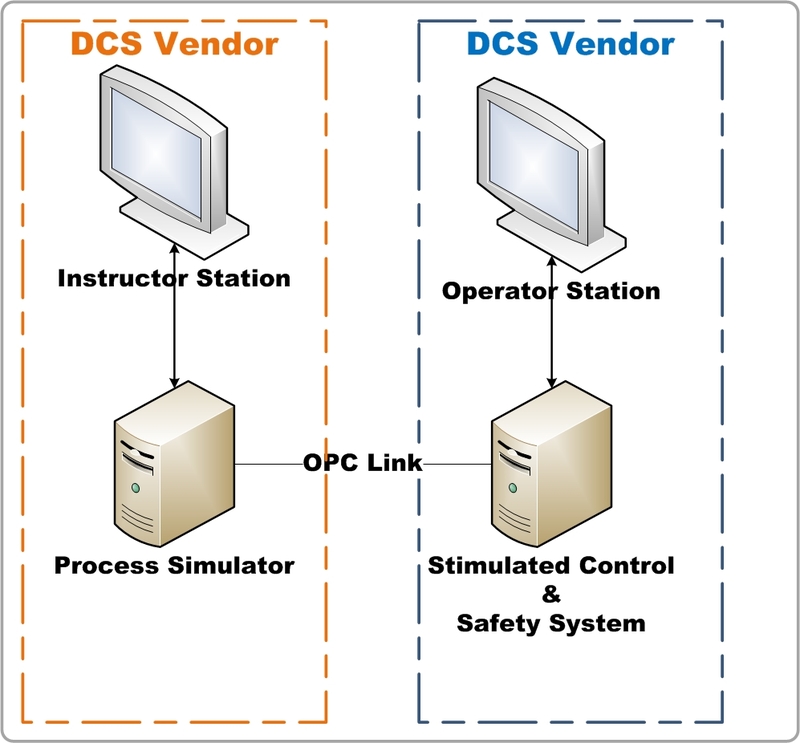 Operator Training Simulator (OTS) is not limited to Process discipline but Multidiscipline solution. OTS reduces losses and increases production. Training Simulators allow training to occur in a structured, a safe and realistic environment without disturbing normal plant operations. Reduced risk to people, environment and equipment through training and testing. 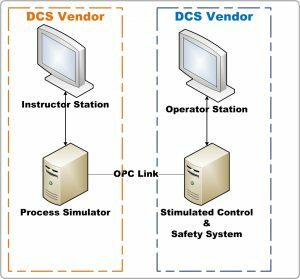 Operators communicate with their process through a control system, either a DCS (Distributed Control System) or a SCADA (Supervisory Control and Data Acquisition) system. They need training in how they relate to the process through the DCS or SCADA human-machine interface. This means that a training simulator must provide the same “look and feel” of the control system HMI. An extra copy of the control system hardware can be expensive; in addition proprietary, unpublished communications protocols may make stimulation of a control system infeasible. In such circumstances, it is attractive to simulate the control system and its user interfaces alongside the process. 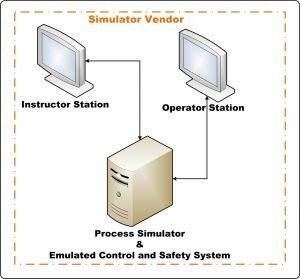 It is then the responsibility of the simulator vendor to copy the appearance and behaviour of the control system’s user interface. This is labour consuming, even with older systems, which had static, full-screen displays. This task becomes even more complicated with windows-based user interfaces since the layout of screens can be variable. The emulated operator station runs on cheap, non-proprietary, hardware, such as a PC. As Control and Safety System is a replicated on Process Simulator Software, it will not reproduce the same behaviour as actual Control & Safety System and so Emulated System can’t server Engineering and Analysis of the facility and only suitable for Training purpose. This simplified Training system is well suitable for existing operating facilities. The main objective of a training simulator is to educate skilled and competent control room operators. To be able to meet this objective the training simulator should represent the process plant as close as possible. The dynamic response of the training simulator should not differ significantly from the behaviour of the real plant. 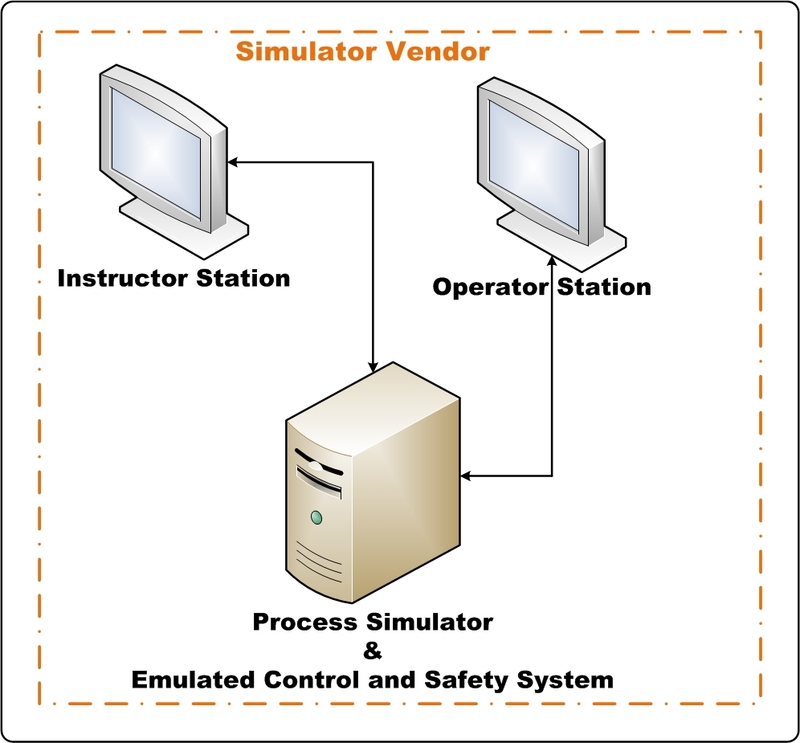 In a stimulated system, the simulator implements process behaviour only and communicate with a physical copy of the control system. The process simulator provides the control system with values for its digital and analogue inputs (equipment status, measurements). The control system, in turn, provides the simulator with values for digital and analogue outputs (trip signals, controller outputs). As control systems now offer one or more application programming interfaces (APIs) that can be used for software communication with the relevant I/O tags in the control system. Indeed, the OPC standard makes it possible to use a generic interface to several types of control systems. 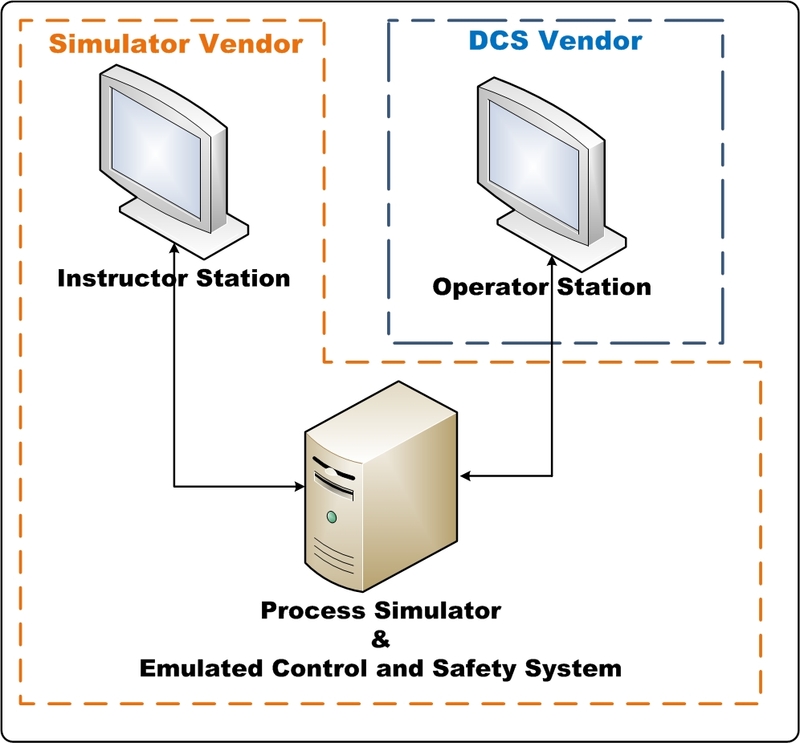 Life Cycle Simulator: The simulator can be used as a vehicle for transmitting and retaining knowledge from conceptual design, through design and commissioning to operations. Life Cycle approach for utilising Simulator is the best to realise the investment into high fidelity simulator for Greenfield project. It can also be used as a means of transferring experience (and data) from operations back into the design of future plants and the retro-fitting of existing plants. If a given control system user interface is difficult to emulate, it may be possible to use a model of the process and its control system to provide data and receive values from an actual copy of the control system’s user interface hardware (i.e. the operator stations). As an exclusive provider of simulator-based hands-on training courses, we offer you unparalleled experience, learning resources and highly experienced qualified instructor to help you get the most from your skill development goal. Our unique blended learning techniques, which includes learning with your own experience on how things work and highly informative instructions help you to achieve training objectives for individuals or your entire workforce. Our in-depth knowledge about the simulators and enriched experience of utilising simulation as a best & realistic tool to minimise the technical risks during field development by early detection of technical issues, develop & test a solution before their implementation & commissioning, to be better prepared for facility commissioning and to operate facility with minimising NPT by enhanced understanding of operation issue via reproducing the same. We are the right partner to Plan, Design and Develop the best simulators to cater your facility specific requirement based on our diversified knowledge of simulators and rich project management experience on full cycle of simulator procurement on challenging projects. 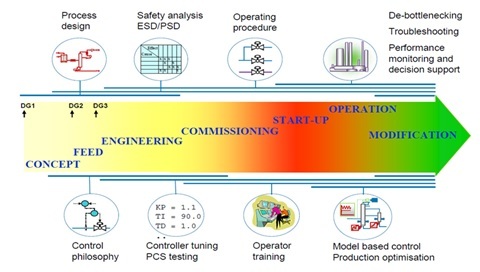 We will assure that you will not only choose right simulation system & supplier but also ensure timely delivery and utilisation of the simulator during each phase of field development. We are the best partner to have Engineering Simulators, Operator Training Simulators, Real-time Production Monitoring and Assurance System, Virtual Flow Metering System, Pipeline Management System based on advanced simulation technology with our holistic knowledge & expertise dealing with dynamic simulators requirement for upstream Oil & Gas, LNG projects and Pipeline network facilities. Simtech Oil & Gas Pty. Ltd.